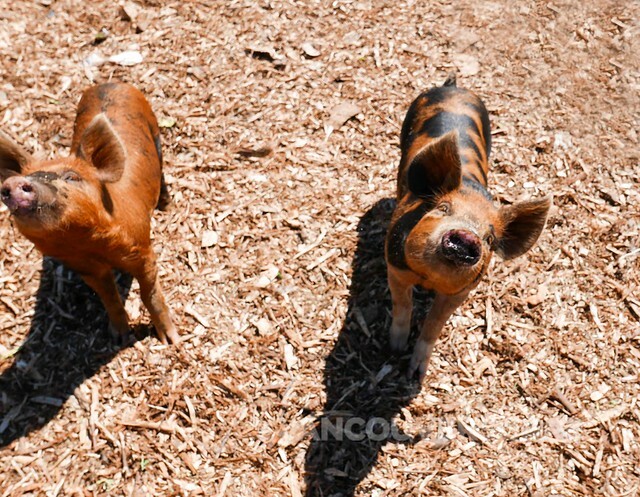 See these pigs? Look how happy they are! 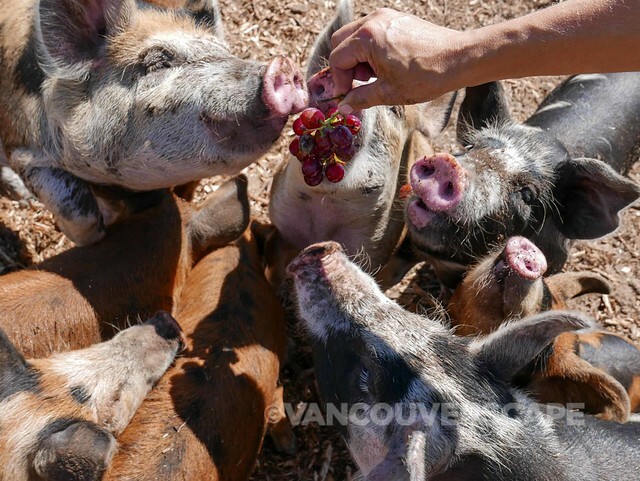 They’re being fed red grapes by Julia Smith, owner of Burnaby’s Urban Digs Farm. While today’s blog isn’t a discussion for vegetarianism, the idea of community farms and knowing where your food comes from, is. 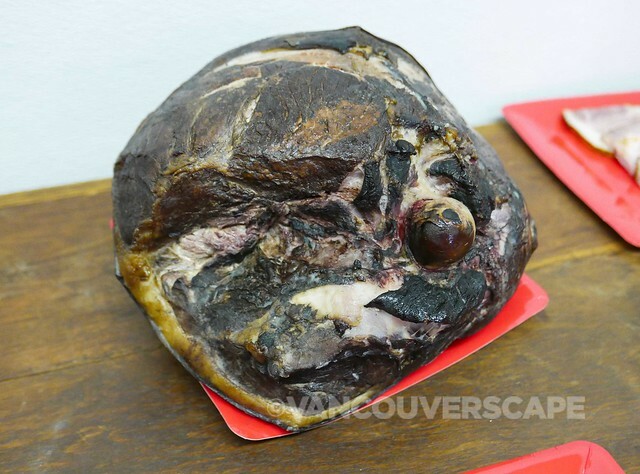 I was recently invited to Urban Digs (and its newly-launched The Beasty Shop, a wholesale/online butcher service at 9247 Shaughnessy Street in South Vancouver). While touring The Beasty Shop, a familiar conversation ensued: should food cost more? While I’m not in the position to judge how to feed a large family on a tight budget, I am aware of the cost of cheap, mass-produced foodstuffs on our bodies and on the environment. Julia’s partner Rory Holland made a good case here by pointing out how much we easily dole out monthly on cable/internet/cell phone service, while balking at food costs. 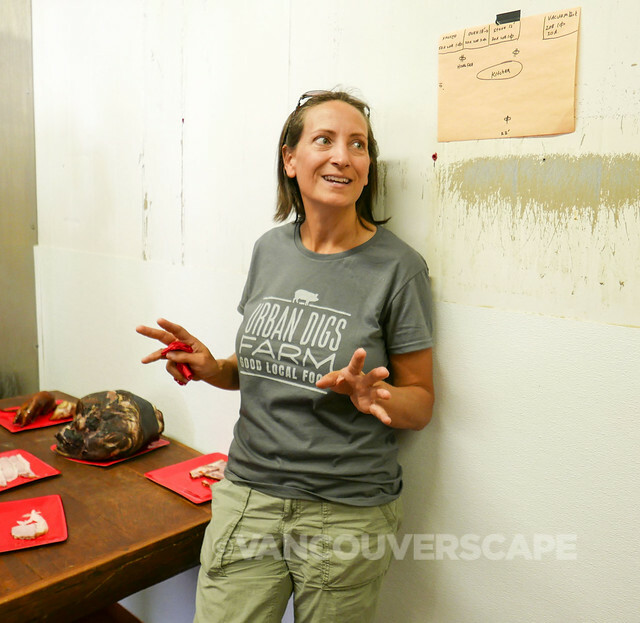 Urban Digs recognized a need for the growing demand of butcher services in the area; at the Slow Money conference last year, she met Rory Holland. 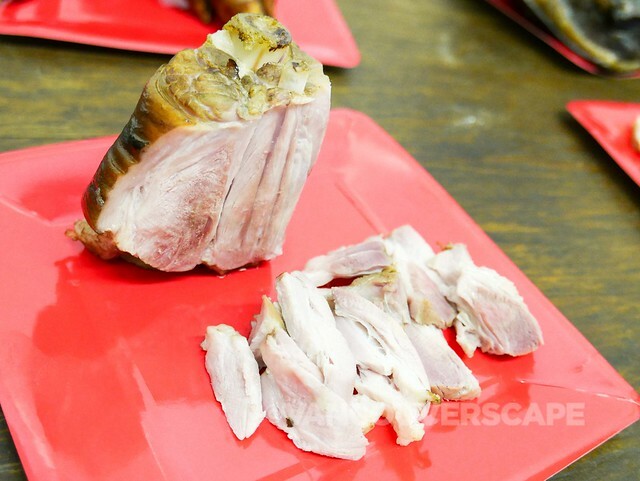 They got to talking and discovered a similar vision when it came to our local food industry and soon decided to go a step further and open their own speciality butcher shop. 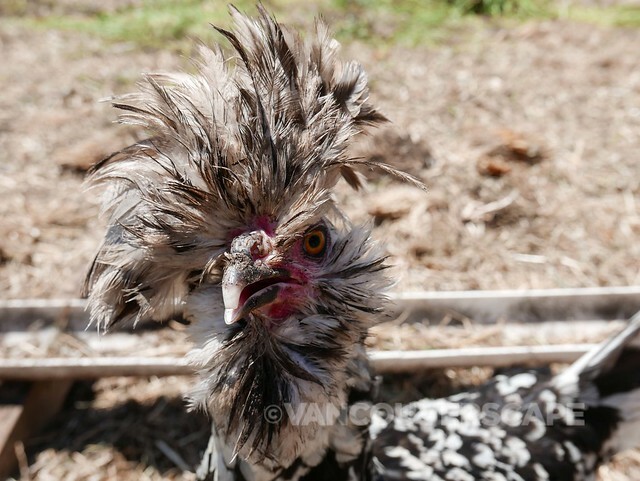 Animals are as important to health of the land as is good crop rotation. Doing it close to home was a compelling reason. And so The Beasty Shop was born, opening its doors in April. The space gives them the chance to be much more intimate with their customers, again helping to spread the word about quality over quantity. Urban Digs Farm is now able to process its meats, including its own heritage breed pastured pork, while providing whole animal butchery services to other local small farms. 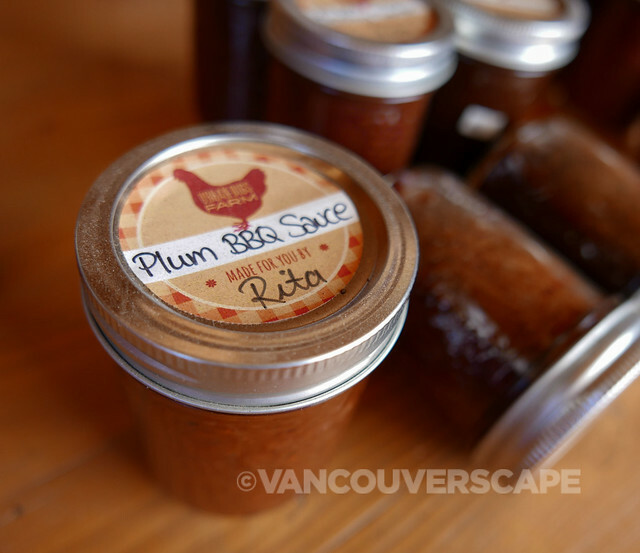 The finished products are available for purchasing at the farm, on the web, and at local restaurants. 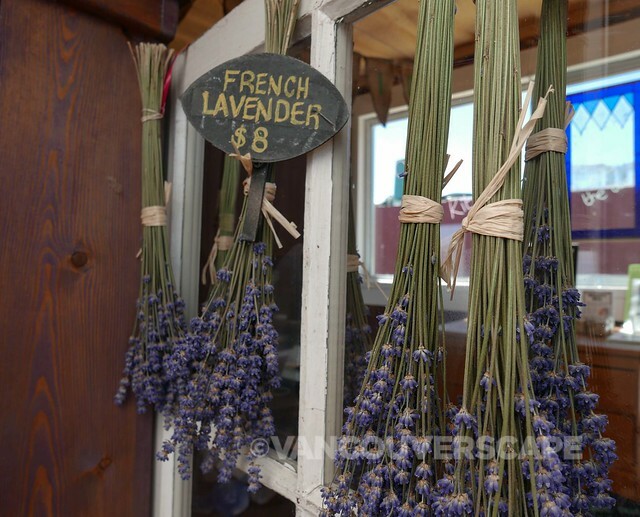 Head out to Burnaby this summer and enjoy the scenery. There’s fresh produce, lavender, and locally-made food products in the shop, as well as ‘Beasty Boxes’ — ‘nose to tail’ butchery boxes for pick up or delivery to the home or office. 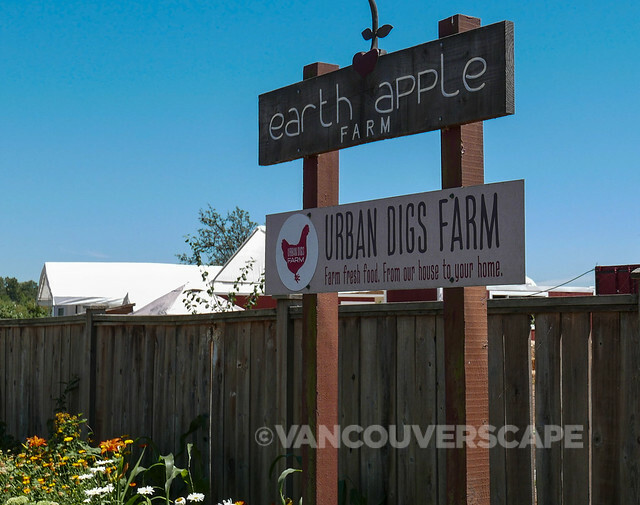 Urban Digs is a passionate and vision-led boutique farm located at 4992 Byrne Road in Burnaby. Visit their website for more information, special events, and opening hours.